We offer exceptional Colnago CX Zero Evo Ultegra 11 speed bikes with carbon frames bikes for hire however some prefer to bring their own. 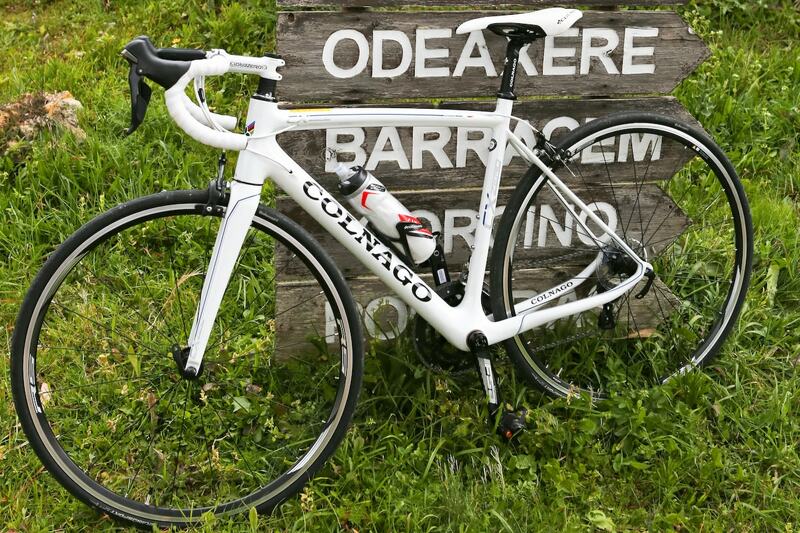 Colnago bikes are steeped in history and heritage of cycling, often referred to as the Ferrari of road bikes thanks to its inimitable handling. The geometry is described by Colnago as ‘classic’ and has a taller head tube, shorter top tube and longer wheelbase for a more upright riding position and increased stability. It’s entirely your choice whether to bring your own bike, or hire one, but all riders must bring a helmet. We have a strict ‘no helmet, no ride policy’. To experience that exhilarating feeling of freedom, we provide the finest bikes available for hire in the Algarve. Colnago CX Zero Evo Ultegra 11 speed bikes with carbon frames have been carefully selected for both endurance and comfort on our routes. Bike hire is £200 per person / per week including bike maintenance; riders are required to bring their own pedals, cycle shoes and helmet. 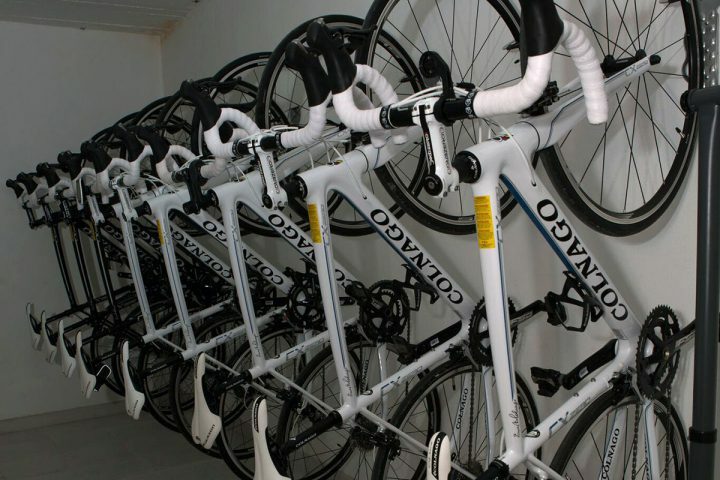 At the end of each day the bikes are transported by your host to our secure service and bike maintenance workshop. Overnight bikes will be cleaned, serviced and returned to you the next day. As well as our secure overnight storage, we have a fully equipped mobile bike workshop in our support vehicle for carrying out day-to-day bike maintenance whilst you are here. We have a fully equipped bike workshop and carry all the necessary tools and spares in our support vehicles. Our on-road guides and support team will always be on hand to get you back on the road in the event of any mechanical problems. If you choose to bring your own bike, we strongly recommend that you have your bike serviced before your trip and that you bring spare inner tubes and tyres (especially those who are riding on tubes) and a full set of replacement brake pads. Our on-road guides will always be on hand to get you back on the road as bike maintenance is a key support function. Spare parts can be purchased throughout the trip as required, including tyres, tubes, canisters, chains and so on.